Things are going great guns for Netflix right now, just a couple of weeks ago it expanded to serve almost every country in the world. I caught up with CEO Reed Hastings at the DLD conference in Munich, Germany today for a chat about where the company goes next. My interview slot was shared with a journalist from German technology publication t3n, and he asked Hastings what plans Netflix might have for virtual reality. There’s bad news if you were hoping for a VR-based House of Cards episode where you get to sit in the middle of the action in the Oval Office. Hastings sees VR as an interactive gaming experience – an evolution of console gaming – and showed no interest in bringing immersive experiences to Netflix. While Hastings doesn’t seem keen, Hollywood experiments like The Martian VR Experience show that there are opportunities for innovative storytelling in the Netflix wheelhouse. To be fair, it would need to get to the point where such experiences could be streamed before the company could get in on the action, but it seems strange to see the CEO dismiss VR as purely about gaming. When it comes to the future of streaming formats, Hastings is far more enthusiastic when it comes to increasingly high resolutions. 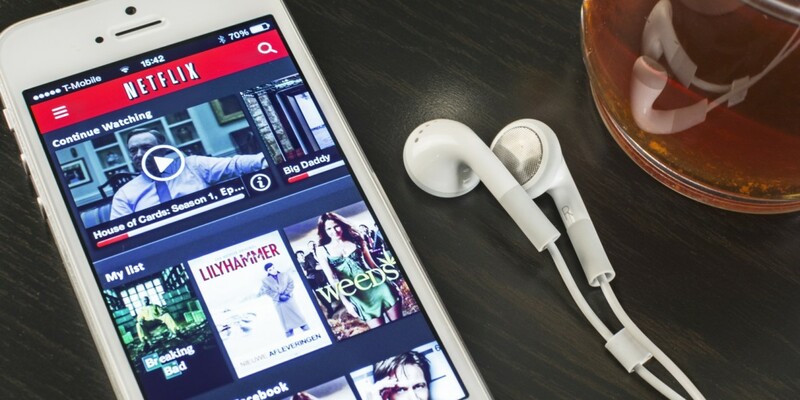 Netflix has been a leader in the adoption of online 4K production and streaming, and most of its shows are now produced in that hi-res video spec. He says the 4K project is going “extremely well,” and he’s upbeat about bringing HDR (High Dynamic Range) video to his platform by the end of this year. “In real life, if you look at the Sun, it hurts your eyes but when you look at the Sun on a television, it doesn’t hurt at all. That’s because the television’s not as bright as real life.” Hastings is keen to bring the experience of eye-hurting suns to Netflix subscribers via HDR. He doesn’t think internet bandwidth will be an issue, as the overhead is only marginally higher than the 20mbps requirement for 4K. Where next after HDR? I do wonder if Hastings might be reassessing this view of VR and at least giving it a go somewhere down the line. I wondered what Hastings made of the New York Times column this week that painted Netflix as an ‘Amazon of the entertainment world’ – a long-term play not for short-term profit, but to eat the competition, or at least put it out of businesses. “Some people think that, and I think they’re overly fearful,” Hastings says. At the other end of the scale, he says some old-school TV networks underestimate Netflix. He tells a tale of a senior NBC executive who dismissed Netflix as a novelty and described linear broadcasts as ‘TV as God intended.’ A head in the sand there, no doubt.